Katrina vanden Heuvel’s August 27 National Interest article, exhibits some debatable points, while seeking improved US-Russian relations. Her article’s title “Washington and Moscow Must Embrace Detente – Despite Trump“, misdirects the major impediment to improving Kremlin-White House ties. Perhaps vanden Heuvel didn’t pen that title. It’s common for some editors to select the title of a given article. Regardless, the article title in question is quite misleading. The Democrats at large and a good number of key Republicans have been far more against Russia than Trump, in an often excessive way. This past Sunday, the rather obnoxious CNN Republican commentator Ana Navarro, chided Trump for being more critical of some Republicans than Russian President Vladimir Putin. On another matter, vanden Heuvel states that: “Sanctions relief might be combined with an agreement for an internationally monitored referendum on Crimea’s status, under the UN’s auspices.” Former US Senator Bill Bradley and Brookings Institution wonk Michael O’Hanlon have earlier advocated the same. Like it or not, Crimea’s standing is clearly established. 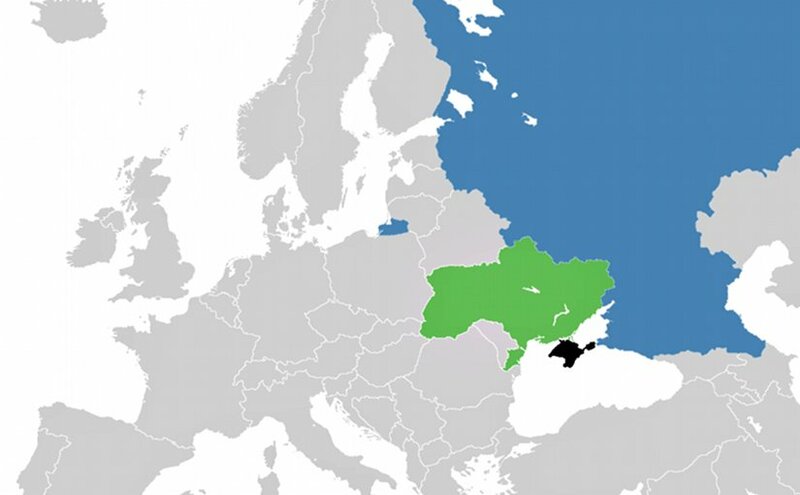 Roughly 83% of Crimea’s electorate voted in the 2014 referendum on the area’s status, with about 96% supporting a reunification with Russia. It’s reasonable to surmise that the 17% or so who didn’t vote, weren’t in favor of Crimea reunifying with Russia. Hence, there’s a well over 2/3 majority favoring reunification with Russia – something that coincides with the independent polling done on this particular. Note that vanden Heuvel’s article is listed as one of several in a National Interest symposium on US-Russian relations, that features some leading US based foreign policy establishment elites. In that grouping, one hopes for a firm counter to the debatable aspects of her article. That desire pertains to some other essays in that National Interest grouping. The contributions of Graham Allison and Dov Zakheim immediately come to mind. This advocacy draws attention to the same old, same old scenario of sources in an establishment environment, that continues to mute competent alternatives. True, Ted Galen Carpenter has brought up the Kosovo-Crimea double standard in The National Interest – although not prior to yours truly at Eurasia Review and elsewhere. To date, Carpenter’s commentary on this subject isn’t included in The National Interest’s symposium on US-Russian relations. He’s not as likely to get high profile television time and Washington Post column space as vanden Heuvel and Daniel Drezner, who said in The Guardian that Kosovo’s separation from Serbia is somehow more legit than Crimea’s changed territorial status. When referencing UN Security Council Resolution 1199, Drezner omits the role of Albanian terrorist actions that prompted a reply from the Yugoslav authorities. Concerning Kosovo and some other matters, a good deal of what was claimed against Yugoslavia is grossly exaggerated propaganda. Drezner doesn’t mention UN Security Council Resolution 1244, relative to Yugoslav and Serb boundaries. Contrary to Drezner, Kosovo was never a Yugoslav republic. Its autonomous standing for a period in Yugoslavia was as a part of Serbia – not separate from it. Crimea’s reunification with Russia has been a virtually bloodless occurrence, reminding one of the term humanitarian intervention. Imagine if a toxic combination of pro-Stepan Bandera Ukrainians and Mustafa Dzhemilev’s call to ethnically cleanse Russians from Crimea went unchecked. We see the level of violence incurred in other parts of the former Ukrainians SSR – Kiev regime controlled Ukraine included. Despite a considerable amount of Western aid, Kosovo has faced noticeable socioeconomic challenges, in conjunction with periodic outbursts of violence since the end of the 1999 NATO bombing campaign. Mike’s articles make sense. Do the country a favor and send a copy of his articles to every member of Congress. We need friendly relations with Russia a country that has thousands of nuclear weapons.